The installation must be for residential heating and cooling. Houses, apartments, condos and mobile homes qualify for this credit. Installation must be completed before 12/31/2016! How Much Can You Save Through this Tax Credit? The terms of the geothermal Tax Credit are very broad. Almost anyone installing a ground source heat pump for residential use will qualify. You receive the credit for 30% of the total cost of the system. This credit applies to both the equipment and labor costs for the installation. For example, if your total cost of installation is $20,000, you will be able to claim a tax credit of $6,000 for the tax year when installation was completed. There is no limit on the total cost of your system, so you can claim the entire 30%, regardless of how much your project costs. Since the program expires on December 31, 2016, you will need to act soon, so the project can be completed by that date. If this tax credit is extended by Congress, that may change, but a renewal may not happen. How Do You Receive this Tax Credit? To claim the Residential Energy Efficient Property Credit for your new geothermal system, you will file IRS Form 5695 with your 2016 income tax filing. You will need paperwork showing the total cost and that the installation was completed and put into service before December 31, 2016. That deadline is the reason to act right away, so your installation can be completed in time. 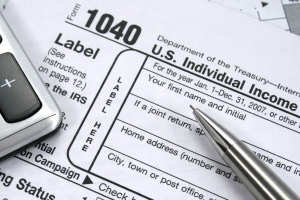 The credit applies to regular federal income taxes and also to the Alternative Minimum Tax. If the credit is more than your income tax liability, it can be carried over into future years. Geothermal heating and air conditioning systems cost more initially, due to the need to install buried heat transfer loops underground. Those transfer thermal energy from the earth on your property to be used to heat and cool your home. The available 30% tax credit can offset most or all of those higher initial equipment and installation costs. Then, since a ground source HVAC system can save as much as 80% on your energy bills each month, your savings continue to pay you back for decades to come, through much greater efficiency. You save now and every year your system is in operation. Act Today to Take Advantage of These Huge Tax Credit Savings! A new geothermal HVAC system for your home or a ground source heat pump to replace your older, less efficient system takes time to install. If you want to qualify for the outstanding savings the geothermal tax credit delivers, a new or replacement system must be in service by the December 31, 2016 deadline. While the Residential Energy Efficient Property Credit might be renewed, there is no guarantee of that. Your local geothermal HVAC contractor needs to schedule the project well ahead of that deadline to ensure its completion by the deadline. There’s no time to delay! There are many the experienced, trusted heating and air conditioning companies that specialize in selling and installing geothermal ground source heat pump systems across Texas, from LaVernia, Seguin and Macdona to Campbellton, Fentriss and McQueeney in the San Antonio area, from Mineral Wells, Cleburne and Rockwall to Desoto, Cedar Hill and Frisco in the Dallas Fort Worth area, and from Dobbin, Pasadena and La Porte to Conroe, Rosharon and Baytown in the Houston area. Find contractors in your area and call them right away for a free consultation and price quote on systems that qualify for this money-saving tax credit. There is still time to have a new geothermal system installed in 2016 to qualify for this federal tax credit. If you act quickly, you’ll save 30% of the total cost on this year’s IRS taxes, and then continue to save money on your energy bills throughout its lifetime.